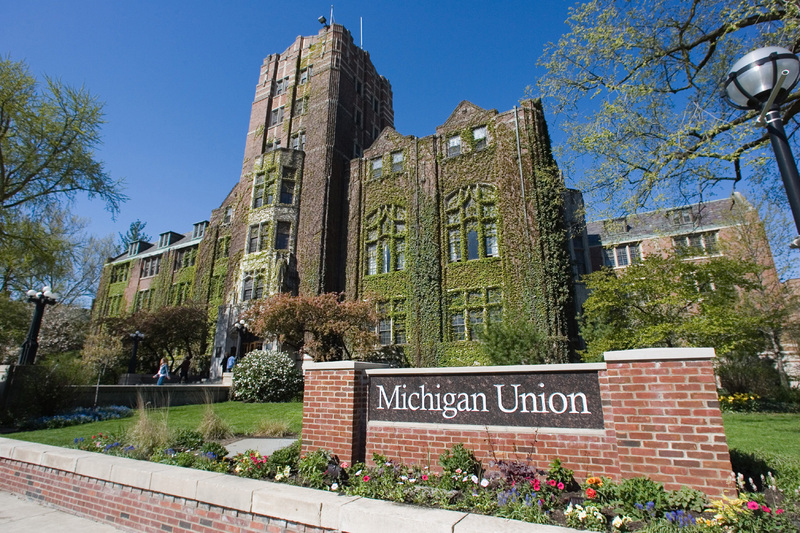 The Michigan Union, which opened in 1919, has served as the center of student life at the University of Michigan for nearly a century. Originally set aside as a center for men on Campus, the Union opened its doors to all in 1956 and continues serving as a gathering point for all students, faculty, alumni, and guests. The Union is closed from May 2018 - Winter Semester 2020 for a huge and well deserved renovation! Staff in Student Life Auxiliary Marketing has moved to BaitsI/Eaton House and University Unions Maintenance is relocated to the Michigan League Underground. SORC (Student Organization Resource Center) is now relocated to the Michigan League Underground. For more information on where to find departments and units new locations and moving dates visit the FAQ page. Have any further questions? More information about the Michigan Union and the RE:UNION project can be found on the University Unions website.